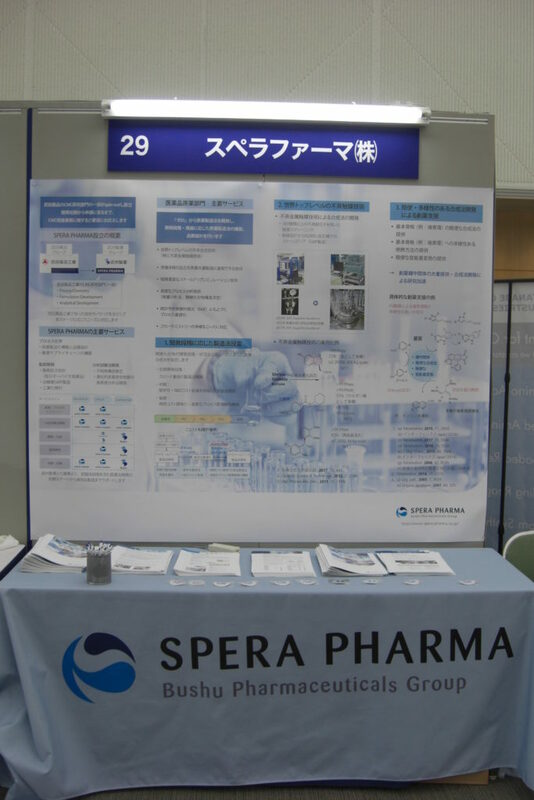 Spera Pharma exhibited a company’s booth at The 35th Medicinal Chemistry Symposium | Spera Pharma, Inc.
Spera Pharma exhibited a company’s booth at The 35th Medicinal Chemistry Symposium held at Nagoya University (October 25∼26). Many attendees from pharmaceutical companies, venture companies and academia visited the booth to hear a summary of Spera Pharma’s business model and chemical R&D services. Participation in the symposium offered a good opportunity for the symposium attendees to recognize Spera Pharma as a valuable company for the provision of a wide range of CMC services, including support for medicinal chemistry. A high expectation from all participants was felt and we were encouraged to continue to actively contribute to create superior and innovative medicines.